Coiled raffia and watercolour pigment. 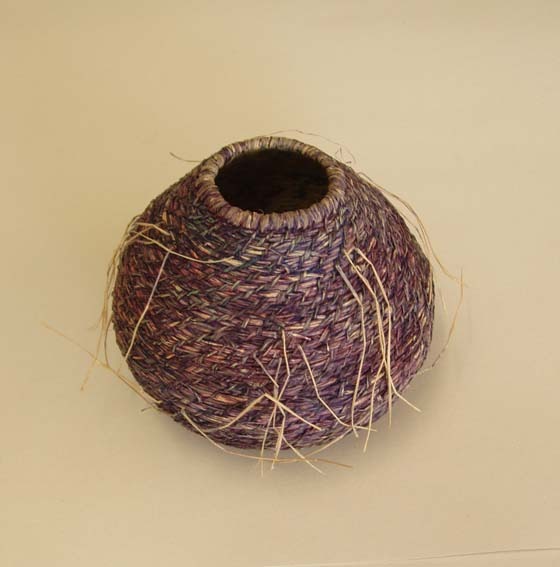 The coiling technique used on this basket is an over stitch that pierces the previous round. The stitches are not rigorously spaced as in some coiling techniques and the end result is an overall texture rather than the stitch pattern predominating. She uses watercolour which she paints onto the finished basket and by applying the colour in thin layers she is able to more easily control the final colour of the piece.